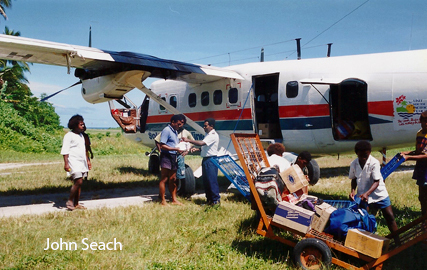 Santa Cruz is the largest island in Temotu province. The island was first settled 3000 years ago. In 1595 an attempt was made at setting up a colony at Graciosa Bay by the Spanish explorer Mendana. 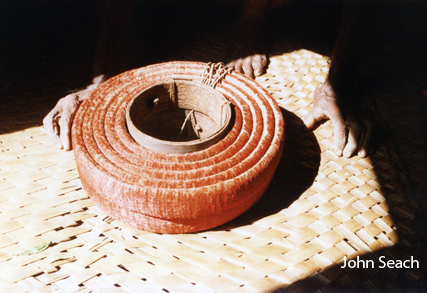 Two months later the idea was abandoned due to tribal conflicts and malaria. 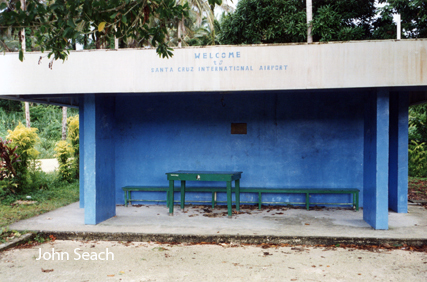 Terminal at Santa Cruz international airport. The western third of the island is raised reef and the remainder of basaltic lava and pyroclastics. The highest point on Santa Cruz is 517 m elevation. 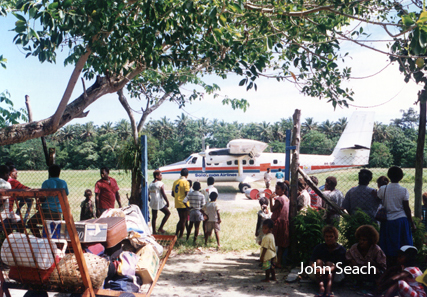 Temotu Provincial headquarters are located at Lata, as well as the province's only airstrip. 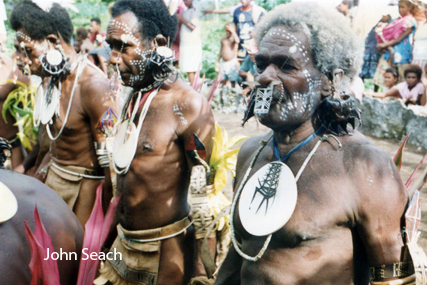 Red feather money used to be produced in Santa Cruz as well as the Reef Islands. Today red feather sticks are used in dancing. 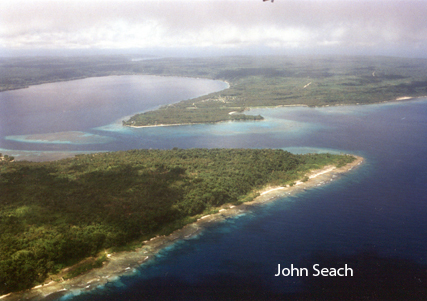 A shallow magnitude 8.0 earthquake hit 100 km SW of Tinakula volcano, Solomon Islands on 6th February 2013. 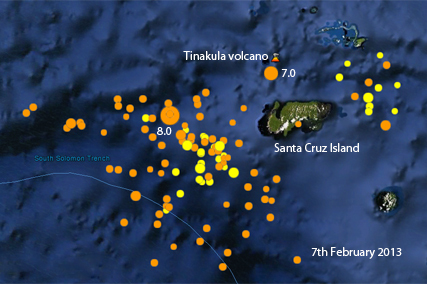 The Great Earthquake was preceded cluster of earthquakes in the same area over the past week. A tsunami warning was issued for countries in the Pacific including the Solomon Islands, Vanuatu, Papua New Guinea, New Caledonia, and Fiji. A tsunami watch was issued for Australia, New Zealand, and Indonesia. Earthquakes of this magnitude can disrupt nearby volcanoes. Tinakula is the nearest active volcano.